KATHMANDU, June 30: Early vote counting points to a tight race between Nepali Congress and CPN-UML in most of the local units that went to polls in the second phase local elections Wednesday. CPN (Maoist Center), as in the first phase polls, appears headed for a distant third position. The first day of vote counting also shows fringe parties including Nepal Loktantrik Forum (NLF), Federal Socialist Forum Nepal, Naya Shakti Nepal and Rastriya Prajatantra Party leading in some seats in the eastern and western terai. Altogether 62,408 candidates are in the race for 15,038 positions at 334 local units in the second round local elections. 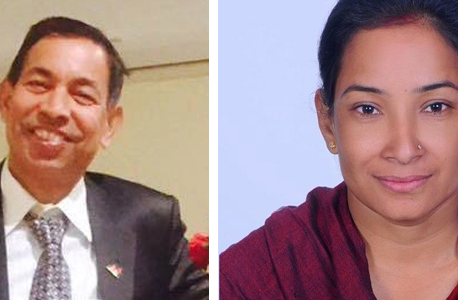 As of going to press on Thursday night, NC and UML were heading for a neck and neck competition in more than 80 percent of the 307 units where vote counting has commenced. Vote counting is yet to start in some local units of the mountain regions. NC and UML opened their accounts with victory at Kada Rural Municipality and Masta Rural Municipality. Early outcomes in the major cities point to mixed results. While UML is leading in Tulsipur, Ghorahi and Nepalgunj Sub-metropolitan Cities, NC is leading in Biratnagar Metropolitan City and Butwal Sub-metropolitan City. These are very early trends and likely to change in the course of the vote counting. However, if the early trend persists till the final counting, this election will also produce mixed results just as in the first phase local elections. In the first phase, UML came first with victory in 125 local units, while NC and Maoist Center won 104 and 46 units respectively. The share of votes of the three main parties was over 90 percent. Early patterns show UML gaining in the perceived strongholds of Nepali Congress such as Tulsipur and Ghorahi of Dang district and Nepalgunj of Banke. NC had swept all five seats in Dang in the second Constituent Assembly elections in 2013. NC, on the other hand, is taking the lead in Butwal, Dharan, Itahari and Dhangadi, where UML has been historically strong. Similarly, UML appears to be doing well in constituencies where it was contesting against alliances of the governing NC, Maoist Center and regional parties. The first two parties had forged an alliance against UML in more than 100 local units of the three provinces. If early patterns prevail, NC may end up the loser in the second phase local polls. NC had emerged as the largest party in the second CA polls due to strong performances in the mid- and far-western regions. The early trends do not show a promising start for regional parties which were expected to do well in the terai areas against the backdrop of the Madhes movement. “It's too early to reach any conclusion as the counting has just started. We hope the trend will change as the vote counting matures,” said NLF General Secretary Ramjanam Chaudhary.